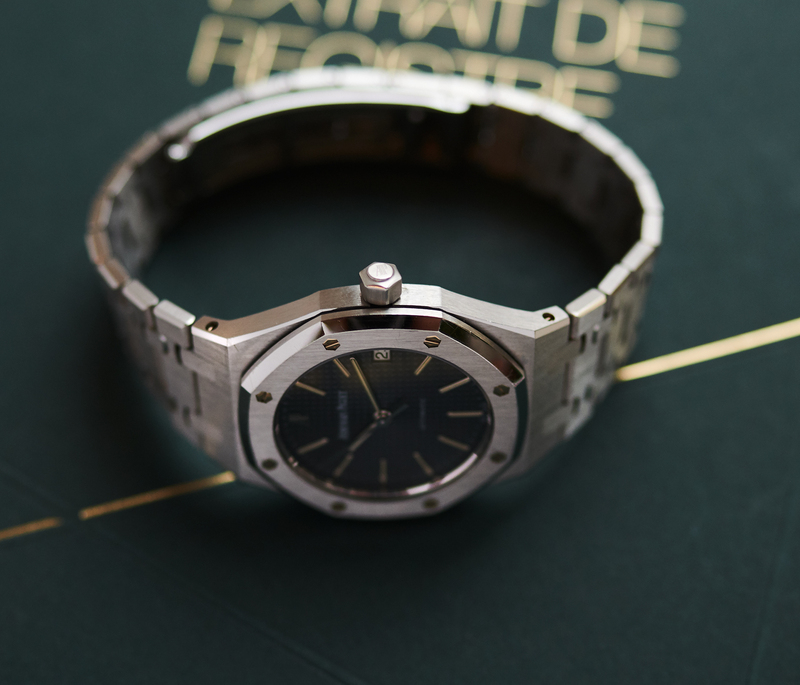 The AP Royal Oak designed by Gerald Genta. 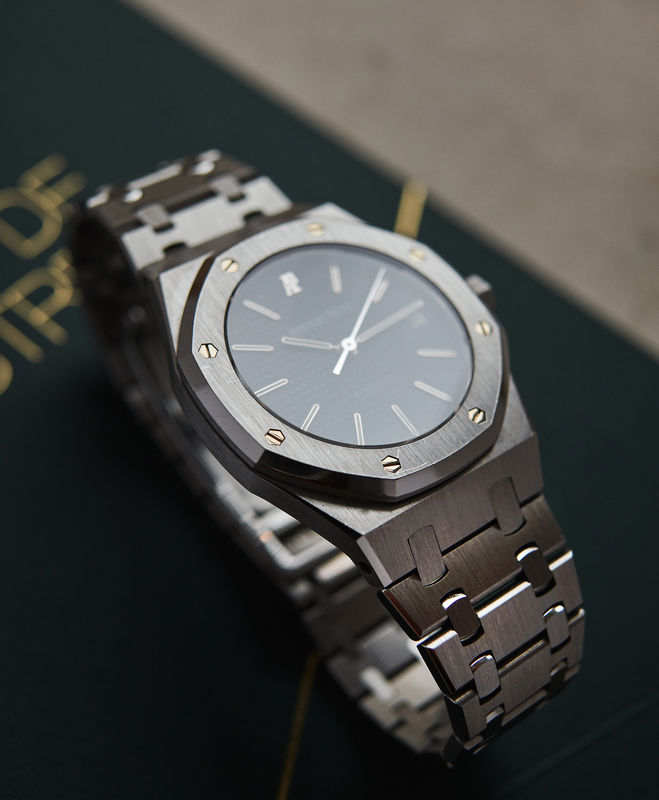 What a watch! 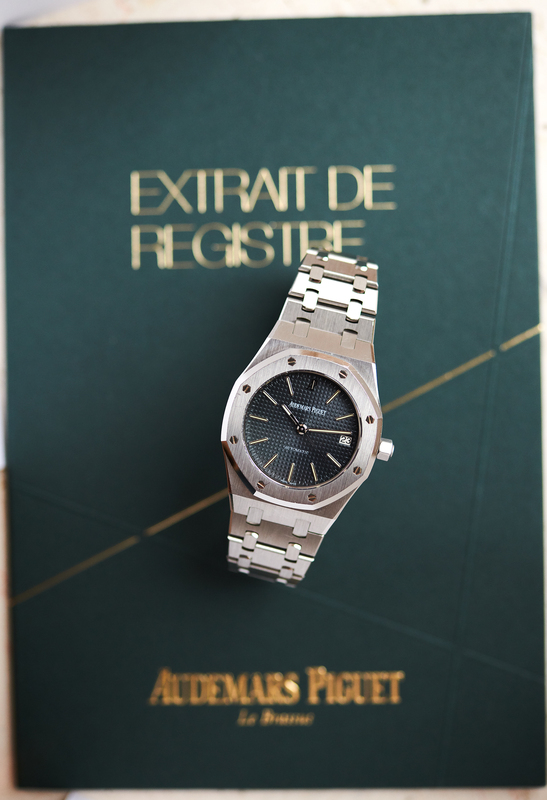 Released in 1972 as the most expensive steelwatch of the world, it is an icon of watchhistory today. 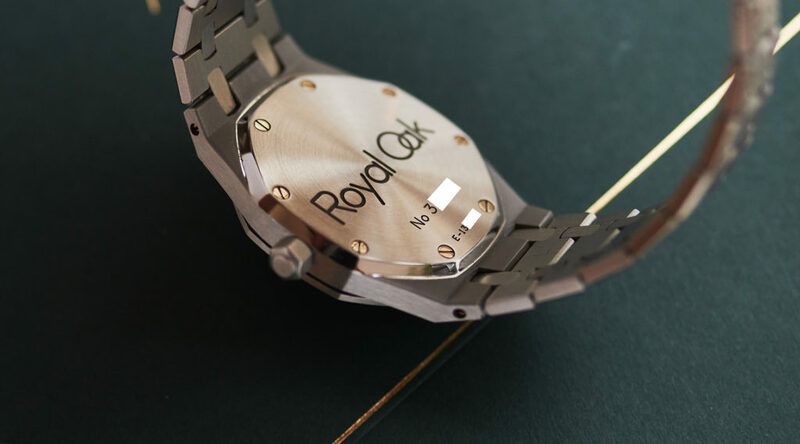 And as there are so many different followup versions of the 5402, that have unfortunately left the design of Genta´s Original, there is also that 36mm 14790ST which is more or less a copy of the 5402 when it´s about the proportions. 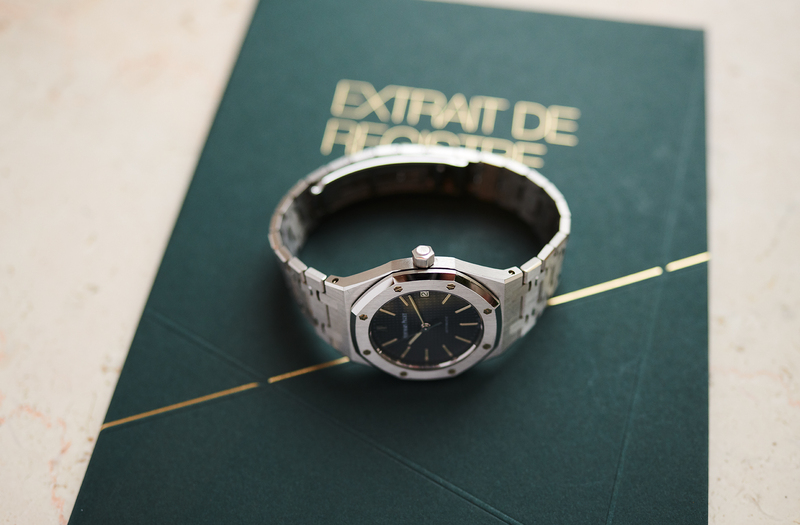 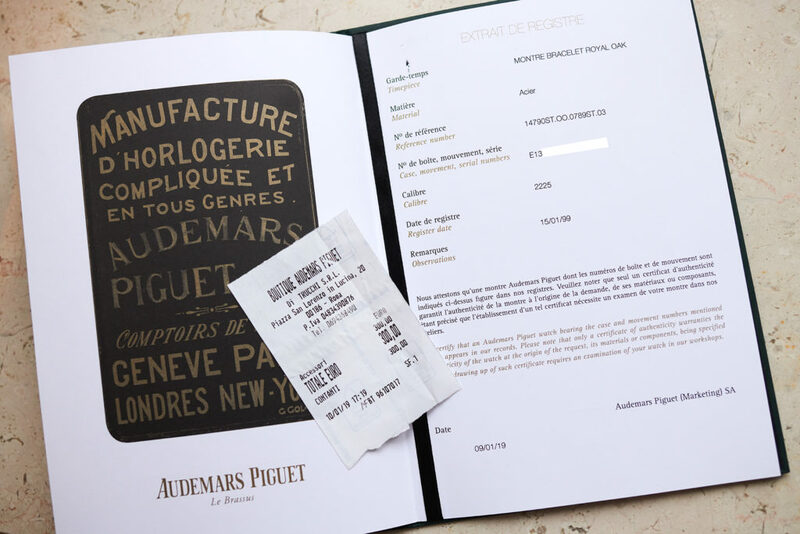 Our example with rare grey dial and long indicies is from 1999 and comes with an extract of the AP archives. 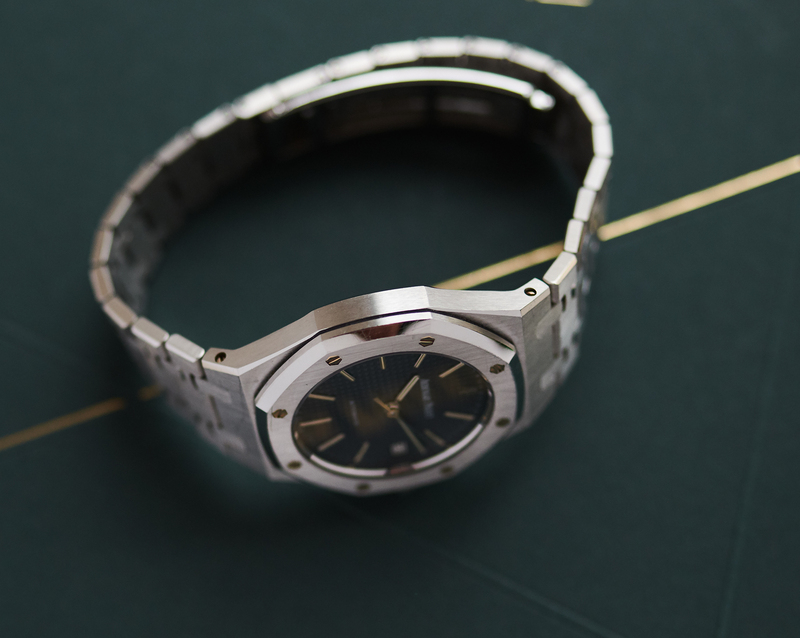 It is overall unpolished with some little signs of wearing over the past 20 years and shows still the original shape of Mr. Genta´s layouts, what we think is essential for such a beautiful designed watch. 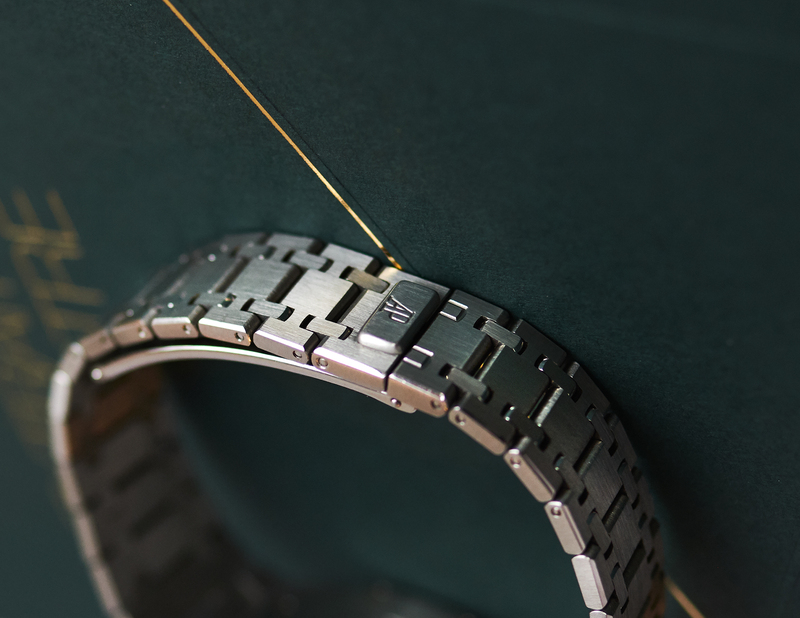 The bracelet is in top condition with no stretch and all 23 links still in there. 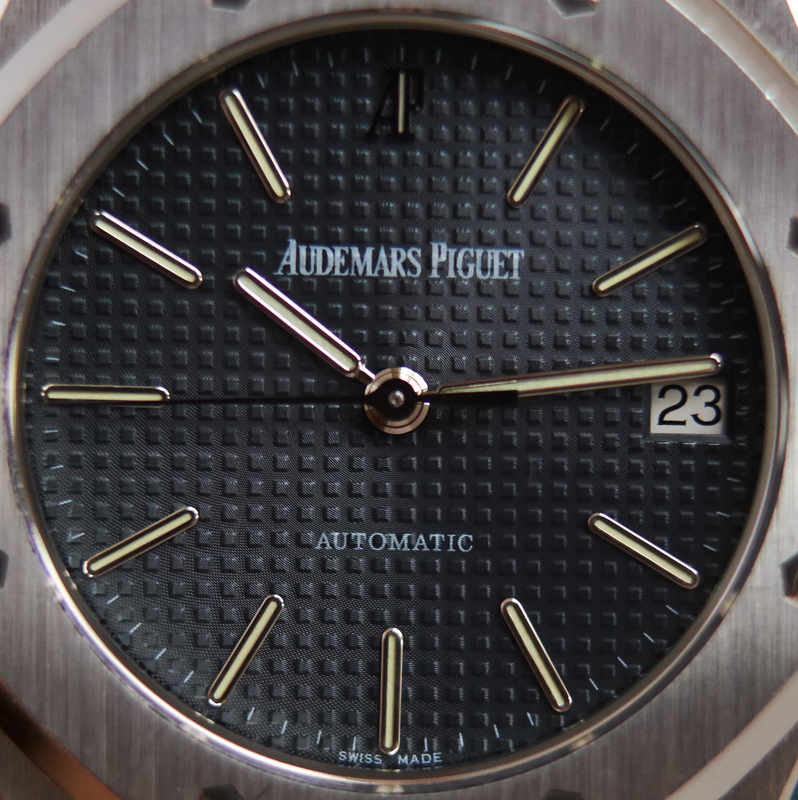 The AP 2225 automatic caliber is running exactly like you would expect it. 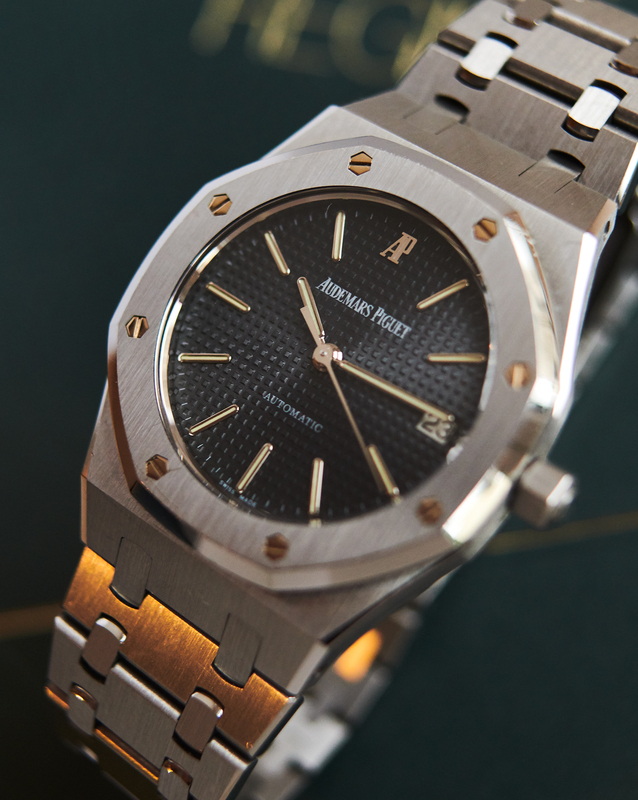 A beautiful unmolested Royal Oak from the late 90s you should catch before prices also skyrocket for those still undervalued models.